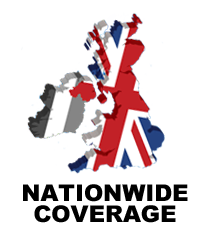 We cover England, Scotland, Wales and Ireland. Are you looking for a trustworthy cleaning company in England, Scotland and Wales for professional and specialist cleaning services? 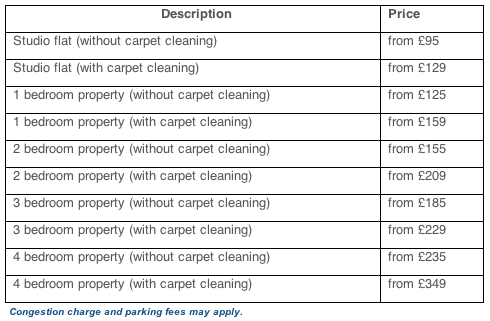 Your discount end of tenancy cleaning as well as carpet cleaning search ends here – Get it done at the price you can afford and do not let cleaning companies cash your lack of information about prices. Call Us on +44 7907 004090 today! – Honest End Of Tenancy Cleaning, After Builders Cleaning and End Of Lease Cleaning Prices – No Small Prints & Never Will Be. Please note: We work with Savills, Foxtons, Martin and Co, Barnard Marcus, Fox and Sons, William H Brown, Manners and Harrison, Leaders, Hampton Internation and the leading names nationwide. Cheap Cleaning Services is an expert cleaning company covering Nationwide and beyond offering complete home, office, end of tenancy cleaning, carpet and upholstery and after builders cleaning services or normally all services listed on our website. We specialise in residential and commercial cleaning, both regular and one-off. We employ a team of professional cleaners and maids, offering cleaning services from end of tenancy cleaning to carpet cleaning, maid and housekeeping services, ironing and laundry and more. It can be difficult fitting the house cleaning into an already full schedule. That is where Cheap Cleaning Services’ fully vetted professional cleaners can help. We offer a full residential and commercial cleaning service in and around Nationwide, guaranteed to beat or match all other cleaning quotes. Whether you want regular domestic cleaning for one-off services, such as end of lease cleaning, after builders cleaning, spring-cleaning and event cleaning or move out cleaning, we can give you a quote. Or call us to enquire about commercial services, such as office cleaning, school cleaning, shop cleaning or building cleaning. We will work with you to develop a bespoke cleaning regime to suit your needs, whether it is on a regular basis or a one-off job; commercial cleaning or residential cleaning in London. Get in touch today via our contact us page, or check out our competitive prices that cover London and Surrey. We guarantee you will be impressed! We also cover all Commercial/Business Cleaning and provide a bespoke but low cost cleaning services to businesses and their properties in London, Surrey and anywhere in 40-Miles Radius. We can beat or match all cleaning quotes! We only employ trained, vetted and reliable cleaners and all our staff are fully insured. They undergo stringent security, immigration and reference checks before we allow them into a house or commercial premises to clean. We keep our prices low without compromising on quality, resulting in a sparkling home at a very reasonable cost. We are honest people, who offer honest prices and take an honest pride in our cleaning work. Take a look round to find out more about our cheap cleaning services in London, Surrey and the UK. 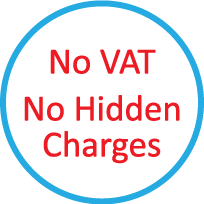 You can also send us an email to hi@cheapcleaningservices.com or call us on +44 7506 709450 to find out more and to book a cleaner or site visit. Our lines are open 24 hours a day, 365 days a year. You can speak to a real, local person to arrange your London or Surrey cleaning at a time that suits you – day or night – even weekends and holidays. If you are looking for local cleaners which provide a great service then your search ends right here. All our team members which provide professional end of tenancy cleaning services to carpet and upholstery cleaning services, after builders, renovation or decoration cleaning, after seminar, exhibition or end of lease contract cleaning are fully equipped with the most latest tools and equipments to provide you a great service. Please note we have all payment systems in place, we invoice for every single job, offer a bespoke service at highly competitive rates and above all, we provide complete cleaning services as well as property maintenance and complete handyman services, removals, painting, decoration, locksmith services, maids and housekeeping, gardening services to complete cleaning services under our umbrella. Please note, we also provide bond cleaning, exit cleaning, end of term cleaning, after tenancy cleaning and range of moving home cleaning services nationwide. Call us today and let us help you get a top notch service! Alternatively, fill in the online form on our contact us page and we will call you back within hours to discuss your cheap cleaning London or Surrey requirements.